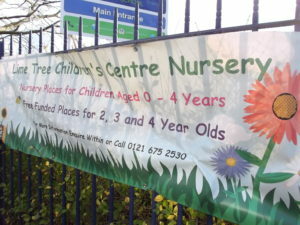 The Council are currently consulting on the future of 14 nurseries across the city, 3 of which are in Lozells and East Handsworth ward, as a consequence of a £600,000 annual overspend. 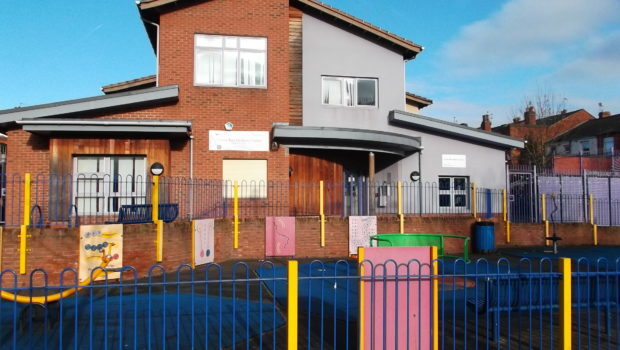 They are asking the public to consider 3 options: keep the financially viable nurseries and close the rest, close all the nurseries and offer the facilities to alternative providers, or keep any nursery situated in an area of need where an alternative provider can’t be found. 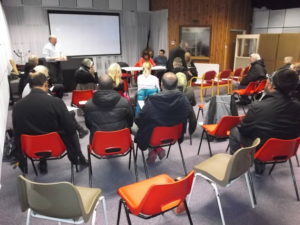 A strong representation from amongst nursery users and staff made their views known at the Lozells and East Handsworth Ward Meeting (at Birchfield Big Local) last Tuesday, and found support from both local residents and councillors. 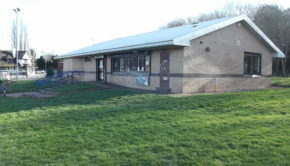 The quality of the provision was stressed: staff skills and training supported by good terms and conditions, extended hours of opening, feedback from primary schools about the positive impacts for children when they start school (and corresponding negative impacts for children who miss out on such provision) – as one resident exclaimed ‘our whole aspirational culture is under threat’. The Council was urged to consider the false economy of cutting back on nursery provision: the costs of school failure, the parents prevented from entering the jobs market, the loss of crucial respite for families with children with disabilities, and the reduction in family support for older people. When the £600,000 annual shortfall was considered in the context of the Council’s £1billion expenditure it was miniscule, and yet the impact of losing the service would be out of all proportion to this both economically and socially. 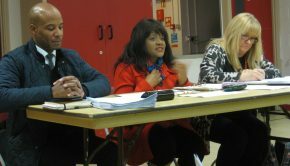 Councillor Zaffar was critical of the Council for going out to consultation too soon, and providing too few options. He said that there had been little creative thinking: if there was under use an analysis of causes could lead to solutions; instead of there being 14 cleaning contracts and 14 HR contracts these could be combined/brought in house/attached to other existing functions etc. Ultimately, he was hopeful that the Council’s consistent prioritising of children’s services would ensure a positive outcome. You can complete the Council consultation here (click on CouncilNurseriesConsultation). 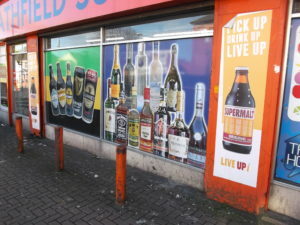 Community Safety: in spite of a public petition supported by objections from the police and councillors, the Licensing Committee granted a 24 hour alcohol license to premises on Heathfield Road. The consequences have been as predicted in terms of anti-social behaviour, and further representations will now be made by the councillors. 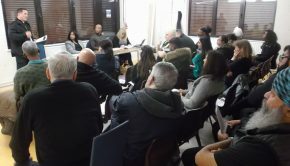 Councillor Zaffar said that he had lost confidence, if not in the function of the Licensing Committee, then in its process as demonstrated in this instance. 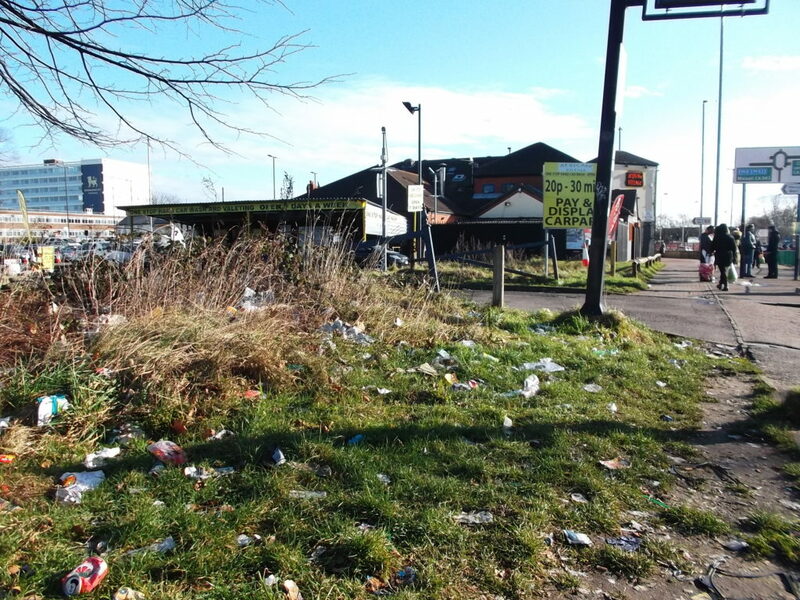 Environment: Big Local and Birchfield Residents Action Group (BRAG) made a presentation of their work to counteract tipping, amounts of rubbish, run down appearance of the area and a general lack of pride in living here. 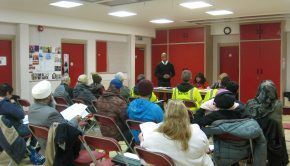 Partnerships have been formed with Waste Management, Midland Heart (who own 35% of the rented properties) and Council Officers, allowing issues to be identified and addressed through joint ‘walkabouts’. 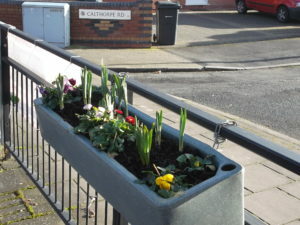 BRAG in particular have had a vision of using the ‘In Bloom’ competition to raise people’s awareness of their surroundings and nurture a sense of pride in their appearance. Doors have been knocked, front gardens full of mattresses and fridges have been cleared and cultivated, 80 trees and 1,000 daffodil bulbs planted, and 270 awards made in recognition of individual horticultural efforts. Having already gained a Level 2 Britain in Bloom Award, the plan is to use the challenges of gaining Level 5 as a means of stimulating major transformation in the area. 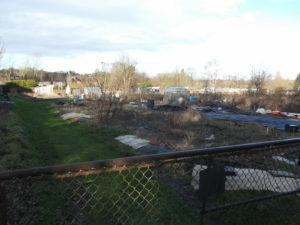 Lea Hall Allotments: the Planning Officer overseeing the proposal to build 100 properties has said that she is not happy with many aspects of the plan, for example regarding noise, loss of open space, loss of trees, the lay-out, the landscaping, and the issues around access. She has said that unless there are major changes she will not be approving the proposal; she has a meeting with the applicant and the developers on 12th February. It may be that changes to the plans will be made, and if so we will need to look for a further round of consultation on these. Alternatively, the owners/developers may give up on the project, and the local community may then want to look further at the future for such a key resource. Commonwealth Games: part of BRAG’s thinking about physical transformation relates to the Games coming to the area. Perry Barr station and the surrounding area will the ‘gateway’ to the Games: does it look like one? It is clear that a huge amount of thinking and investment is going to be required. At a local level the only discussions taking place are at Ward meetings, and one suggestion was that this fails to reflect the scale and significance of the issue, and that a much bigger local forum should be created. In the meantime, any residents can attend the Perry Barr Ward meeting taking place at Alexander Stadium on 15th February (7pm), where the Games will be the main item on the agenda. It was confirmed that after it has acted as an athletes’ village, the BCU site will largely become social housing. 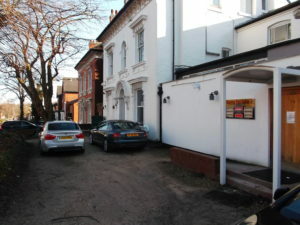 Selective Licensing Scheme: Councillor Zaffar acknowledged that the relatively low level of private rented properties in the Ward (compared to both Soho and Handsworth Wood) meant that it wouldn’t be one of the pilot areas for the Selective Licensing Scheme under which the Council could exert more control over standards in the sector. He hoped, however, that the pilots would lead to the scheme being applied across all wards. He agreed to follow up on whether the Council’s bid for £900,000 from the ‘Controlling Migration Fund’ (click on ‘MigrationFund’), which has potential to address similar issues, had been successful and would provide any resources for Lozells and East Handsworth. Independent Living: information has now been provided on what options are available to support independent living for people with disabilities – none of them are in Handsworth, and the several followed up so far have proved unsuitable for the individuals concerned. This item, therefore, remains on the agenda for further discussion. New wards: there was much less information this time on governance arrangements in the revised wards, and more detail will be hoped for at the next meeting (the final one before the changes). Existing Neighbourhood Forums will continue as they are even where they cut across the new boundaries. There will be ‘2 Ward Forums per area’ and they will be entitled to ‘minuting support’ – needs exploring further. Subject to appropriate approvals, Councillor Zaffar said he would circulate an internal Council report which has been influential in the thinking about the operation of the new wards. 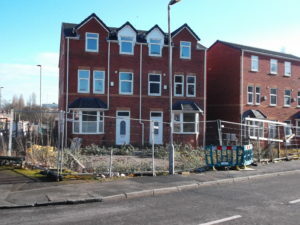 Wellington Rd/Westminster Rd development: concerns about most of this housing development remaining empty at least 18 months on from apparent completion. Suggestions that developer may have run out of money to complete required access work including the shutting off of the bottom end of Westminster Road. Councillors undertook to investigate and report back. 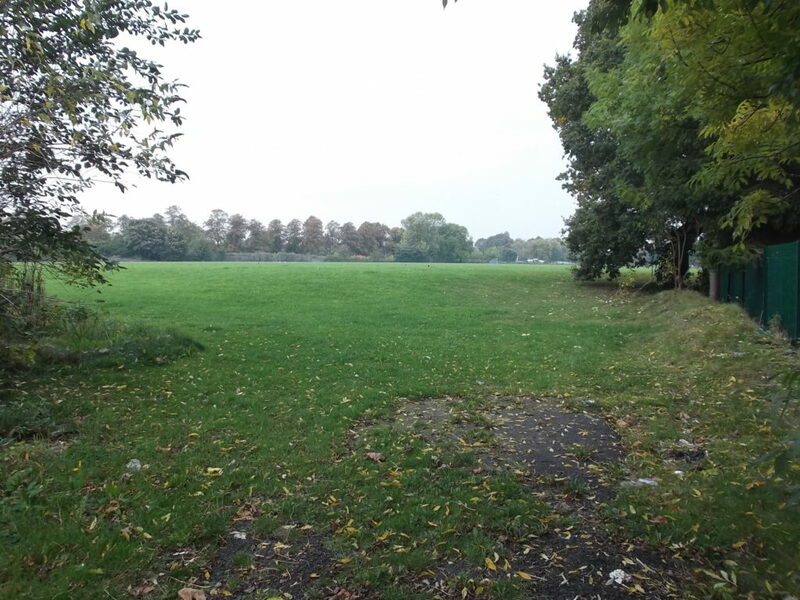 Jubilee Allotments Playing Fields: the issue which refuses to go away. There was a feeling from Councillor Zaffar’s update that the Council is giving up on ever being able to force Persimmon to do more. The lock on the gate is persistently being forced and repaired. What will bring this to a head? Date of next meeting: 27th March (venue to be confirmed). Topics: licensing of Houses in Multiple Occupation amongst other things. Re: 24 hour alcohol license for premises on Heathfield Road. Most other councils in the UK have issued very few 24 hour alcohol licenses to shops. Down in London, there isn’t one 24 hour off license in the city centre! Thank you for this astute and accurate report on the issues raised at February’s Lozells and East Handsworth Ward Forum meeting, John. Your hard work is certainly appreciated.